With one of the best games under its belt, Nintendo Switch has made rapid strides in 2017 by selling over 2 million switches in the U.S. alone since its launch. 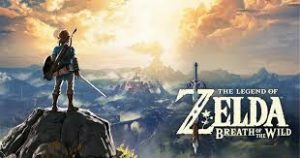 The game under the spotlight is “The Legend of Zelda: Breath of the Wild,” which is already hooking gamers onto the screens manically. 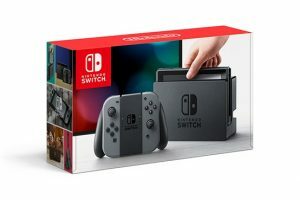 The switch’s console is built for use as a handheld and home console and boasts of games such as “Yoshi”, “Splatoon 2” and “Pokken Tournament DX” but it just doesn’t stop Nintendo from rolling out new games. Heck, another new big game’s launch is imminent in less than a week, thus, placing Nintendo firmly in the driver’s seat. The expected launch of the brand new “Super Mario Odyssey” has already hyped up further expectations. 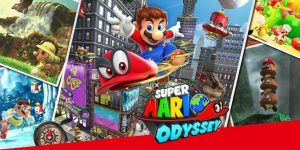 Some good scores for “Super Mario Odyssey” on NPD (National Purchase Diary) in the first few weeks will surely make the console continue its winning spree through the holiday season. If rumours are to be believed, Nintendo is even making a “Pokemon” game for the Switch. The bounce back for Nintendo has been nothing short of a dream run, which was looking weaker around the same period last year. It could hardly capitalise on a fraction of the demand for the NES classic Edition and was marred with the lacklustre Wii U console. Not to mention, it had only a limited involvement in the development of Pokemon GO, a game which went on to become perhaps the biggest success of 2016 from one of their properties (read: Niantic) in a long, long time.